ONOMICHI, HIROSHIMA PREF. - The port city of Onomichi lies between Fukuyama and the prefectural capital Hiroshima on the Sanyo Shinkansen Line. My first few years in Japan were spent in Fukuyama, and I visited Onomichi for occasional day trips. “Pleasant” was the word that sprang to mind. Twenty-five years ago, Onomichi had a peaceful vibe, largely thanks to the many temples dotted around, and the main tourist attraction was taking the ropeway up to the most famous of these, Senkoji. The bright orange temple has become a main symbol of the city, offering views out over the Seto Inland Sea. Onomichi was also home to a large number of writers, who were the inspiration for the Path of Literature, a winding trail featuring quotes carved into stones. During a recent trip to the region, I found that Onomichi has metamorphosed from a merely “pleasant” day trip to a full-blown destination in its own right. One of the biggest reasons is the Shimanami Kaido bike trail, which opened in 1999. The 70-kilometer route runs from Onomichi to Imabari, Ehime Prefecture in Shikoku, traversing six islands and seven bridges, and the panoramic sea views and distinct feel of each island have helped make the trail an international tourist attraction. 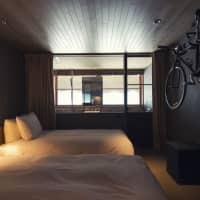 There are a number of places along the route where bikes can be rented or dropped off, but for convenience, service and style, you can’t beat Hotel Cycle located in the Onomichi U2 building, just a few minute’s walk from Onomichi Station. The complex is housed in a former warehouse that dates to 1943. According to Yoshifumi Inoue of its marketing and communications department, Onomichi U2 aims to be “a microtown within a town,” providing the consummate experience for cyclists. 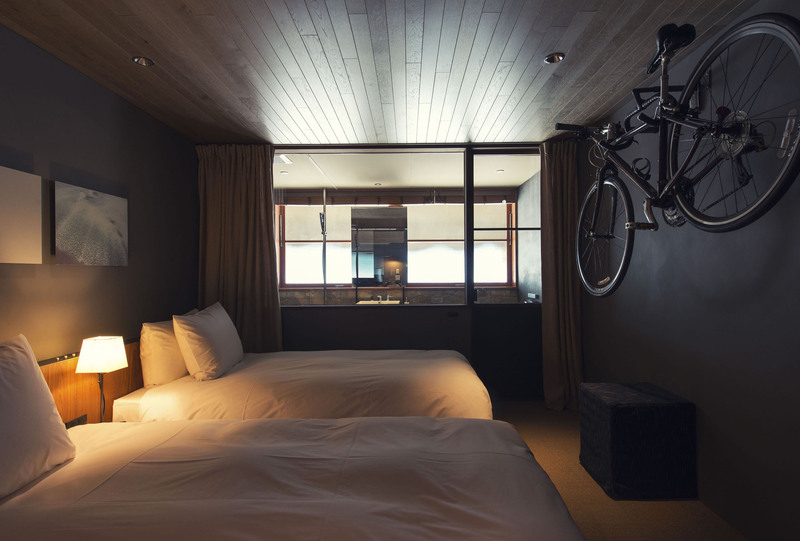 Opened in 2014, Onomichi U2 offers funky but comfortable accommodation with Hotel Cycle — and yes, your bike can stay in the room with you. There are three restaurants, a bar, and bicycle manufacturer Giant operates a full-service store there, too. Another key concept of the complex is “a good old future,” referring to a mix of Onomichi’s status as a historic seaport and the timelessness of the Seto Inland Sea, combined with recent efforts to establish the area as a tourist hub. Onomichi U2 has retained the warehouse feel in its design, creating a comfortable and stylish setting without being pretentious. As for the food, the in-house bread shop, the intriguingly named Butti Bakery, makes some of the most phenomenal bread to grace a Japanese breakfast buffet. 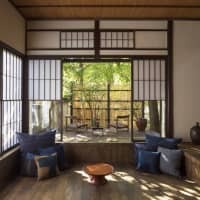 The theme of old and new is echoed at another unique place to stay in Onomichi, the Shimazui Manor. The beautiful, stately home is one of two properties managed by Setouchi Minato no Yado. 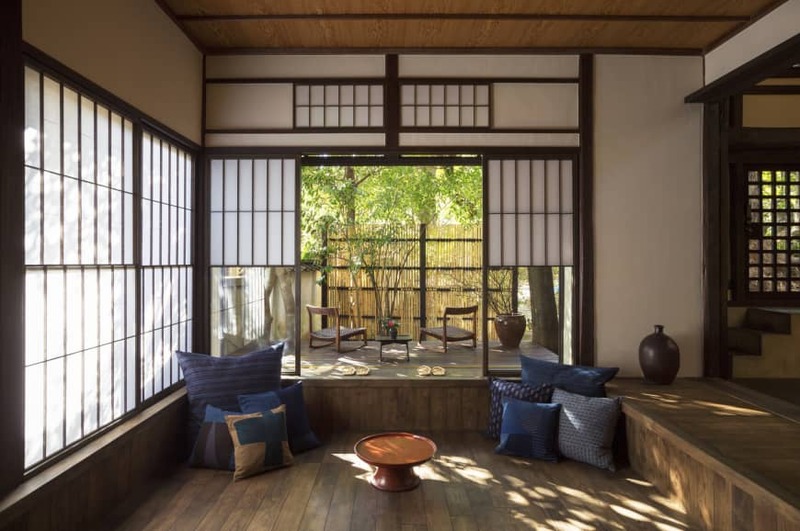 Built in 1931, the architecture reflects Western influences, but the interior is one of understated elegance, which complements its hillside location near Senkoji temple. In fact, the balcony overlooks the ropeway leading up to the temple. I’ve stayed in few places that could rival this one for ambience. Local designs and materials have been incorporated into the refurbished interior, and it feels like stepping back into yesteryear — albeit with mod cons, such as a fully equipped kitchen. Finally, if it is pure luxury you crave, Onomichi has that covered, with the Bella Vista Spa & Marina Onomichi, about 40 minutes by car from the city center. The original hotel dates back to 1973, when it was developed for guests of one of the area’s biggest firms, Tsuneishi Shipbuilding Co. Ltd. Even when I lived in the area, the hotel was a cut above. It was the place you took a date when you wanted to impress, but the hotel of my memories pales into significance when compared to the current incarnation, which was reborn in 2007 as a deluxe hotel, spa and wedding venue. The view from the terrace overlooking the infinity pool, with blue water merging into the Seto Inland Sea behind, is truly stunning.